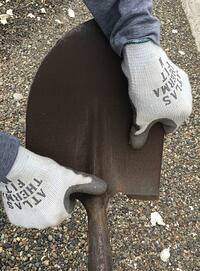 A shovel is a simple tool for moving bulk material and digging. There’s nothing complicated about a shovel. A person who uses one regularly learns the craft of shoveling. There are expert shovelers. But someone who rarely uses a shovel may stand awkwardly, bend over too much, reach too far, or hold the handle incorrectly. You’ve probably seen a child struggle to manage a long-handle shovel. There are obviously skills to shoveling. Imagine someone who’s never even seen a shovel. Think how foreign it would look - a wooden pole with a piece of metal at one end. They may mistakenly hold the blade and try to dig with the handle. That would be a terrible way to use a shovel. That person could easily conclude that for digging that “shovel thing” is worthless. This is the same way some people see 5-Whys. But they’re just holding the shovel upside down. A 5-Why is an excellent way to dig into a problem if you use the tool effectively.  Most 5-Whys users adhere to the conventional approach of asking exactly five why questions written in sentences down the page with the fifth Why providing the root cause. They’re using the tool, but not well. It’s like they’re holding a shovel with their hands facing the wrong way and their arms crossed. Companies sometimes make simple complicated. Toyota maintains a strict interpretation of 5-Whys. We’ve made a few simple tweaks to their traditional 5-Whys approach. See our 5-Why Cause Map for the Welding Robot Example from Toyota’s website. I’ll admit I’m biased. I’ve worked a lot of investigations using our Cause Mapping method of root cause analysis that began with just a few "why" questions that expanded to a lot more causes. The analysis of a problem doesn’t have to stop at 5-Whys. It can pass right through. Asking five Whys is simply identifying five cause-and-effect relationships in series. Understand cause-and-effect is fundamental for explaining how and why things happen. It’s the basis of the scientific method. The Cause Mapping method starts with one Why question then builds into 3 to 5-Whys. The analysis may expand to a 10 or 15-Why or more depending on the incident. See our Cause Map for the Alternator Belt Example from the Wikipedia page for a 5-Why. Some believe 5-Whys is only for small problems and that different techniques are required for bigger problems. That premise contradicts the principles of cause-and-effect. Big problems have more Why questions. Just like with a shovel, you can dig as much as you need. Five is a great start, but it’s not necessarily the end and it shouldn’t restrict the analysis. The Cause Mapping method provides a consistent way to start and expand all investigations – small and large. Watch the video below on How to Conduct a 5-Why – Titanic Example. ThinkReliability helps companies establish a 5-Why baseline so that frontline employees, technical leads and management have a simple, consistent, and effective approach to work all problems. 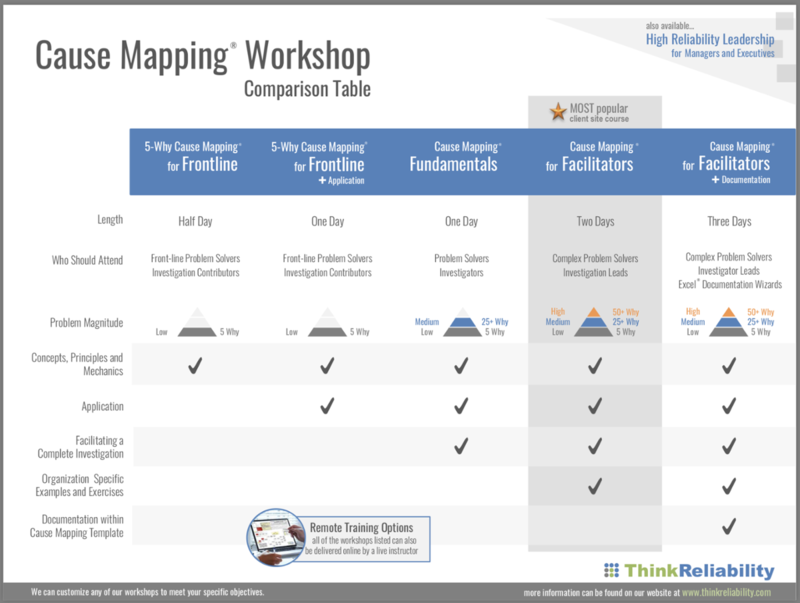 The Cause Mapping method reinforces cause-and-effect thinking within each investigation. 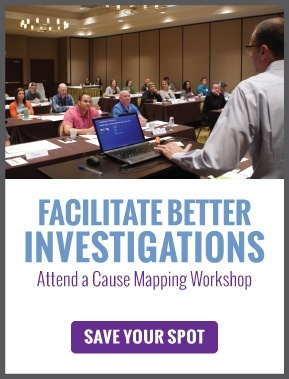 If your organization could benefit from better problem-solving and better incident investigations, then attend one of our Cause Mapping workshops. Click here to find out more. Learn the differences between popular problem-solving approaches and the Cause Mapping method of root cause analysis. Remember, shovels are simple. Don’t let digging into a problem become complicated in your organization. Focus on the basics to keep things simple. Take a scientific approach to problem solving by testing our Cause Mapping method on one of your problems. Get your own evidence. Find out if a Cause Map is simpler, more thorough, easier to understand, and provides better solutions than what you’re doing now. Download our free Cause Mapping Template in Microsoft Excel below and watch our Getting Started video. Becoming a better problem solver is good for your company. Keep upgrading your skills. If you’d like us to build the Cause Map for you as a demonstration, contact our root cause analysis help desk.